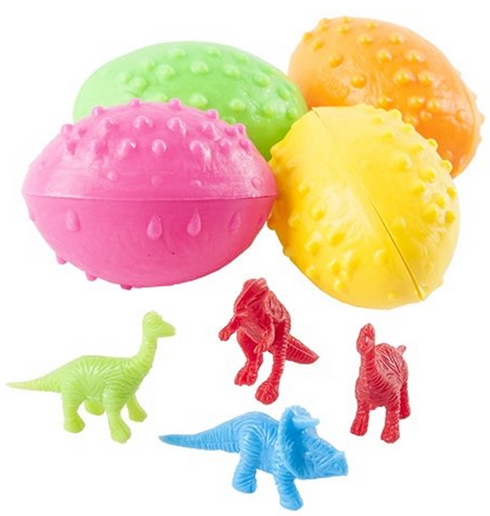 One Dozen Dinosaur Easter Eggs For Just $5.03 PLUS FREE Shipping! You are here: Home / Great Deals / Amazon Deals / One Dozen Dinosaur Easter Eggs For Just $5.03 PLUS FREE Shipping! If you have a Dinosaur lover in your life – they will get a kick out of Dinosaur Easter Eggs! They even come complete with baby Dino’s inside! You can get a set of 1 dozen for just $5.03 PLUS FREE shipping!